Here is a stretching exercice often done by the powerlifters to avoid having muscle tears during the squat. It’s a stretching exercise to do during the warm-up session and between the first sets. This stretching exercise involves crouching slowly while hanging on a stable support such as a pole or the frame of a machine to flex your thighs. 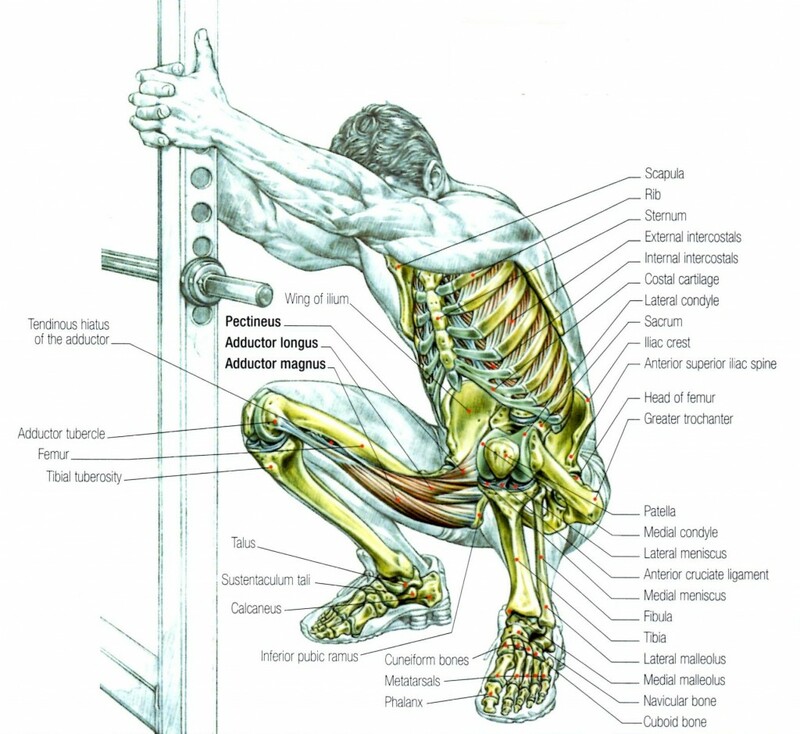 This movement corresponds to squat flexion and this allows you to stretch adductors, mainly adductor magnus. The adductors magnus is the muscle the most frequently injured due to the excessive tilt of the torso with heavy weight. 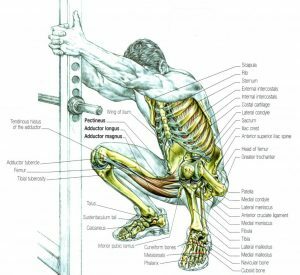 This exercice stretches quadriceps (except rectus femoris), gluteus maximus and the set of small, deep, external rotator muscles of the hip that stabilize and slow down the anterior tilt of the pelvis during crouching. To better feel the stretch of the leg you can move the weight of your body on the right leg and then on the left leg.